Hi dear readers how have you all been? As you are probably aware, I spent the summer preparing to move, which included clearing out and selling our house in NY, and moving to Washington state. Wow! So.Much.Work. I'm thrilled to say we are just about settled in our new home, with my very own room for nail polish and blogging, and I'm back to blogging, starting off with a post I'm super excited about. I've been asked to create a manicure to coincide with a book launch. Could I love any two things more? 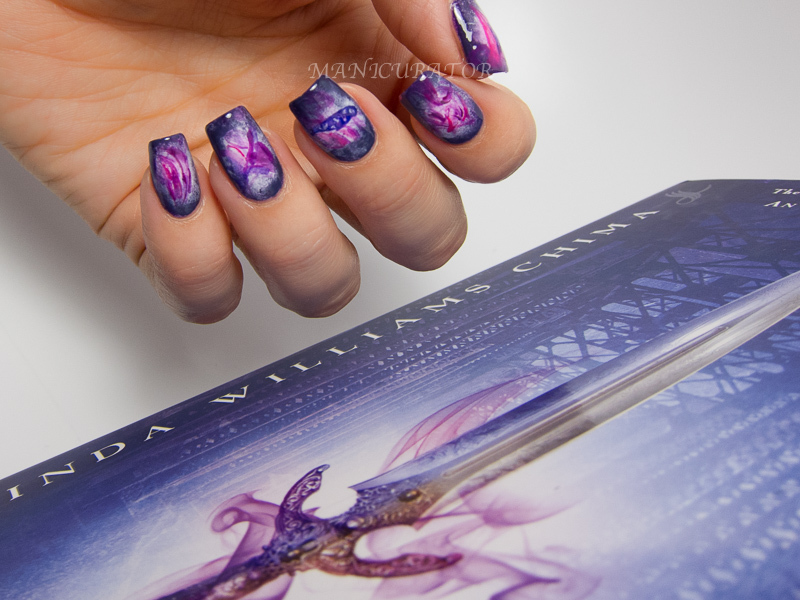 Nail art and books? Make sure you enter to win the giveaway at the end of the post! 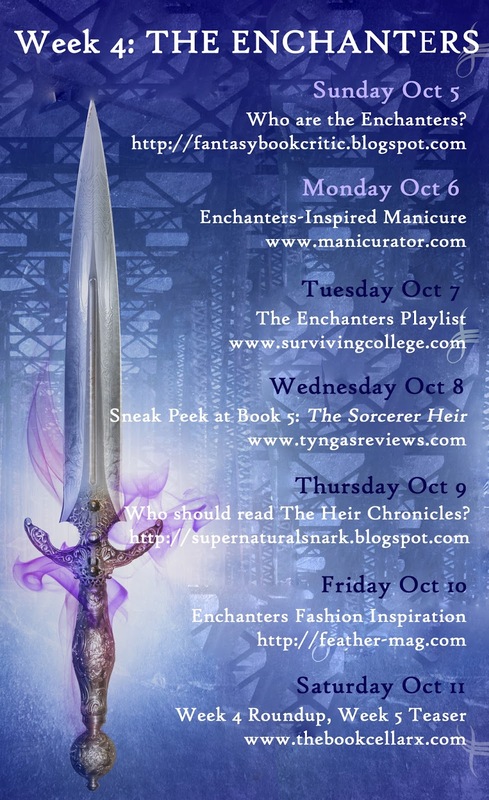 The fifth and final book, The Sorcerer Heir, in the young adult series The Heir Chronicles by Cinda Williams Chima will be released this month. 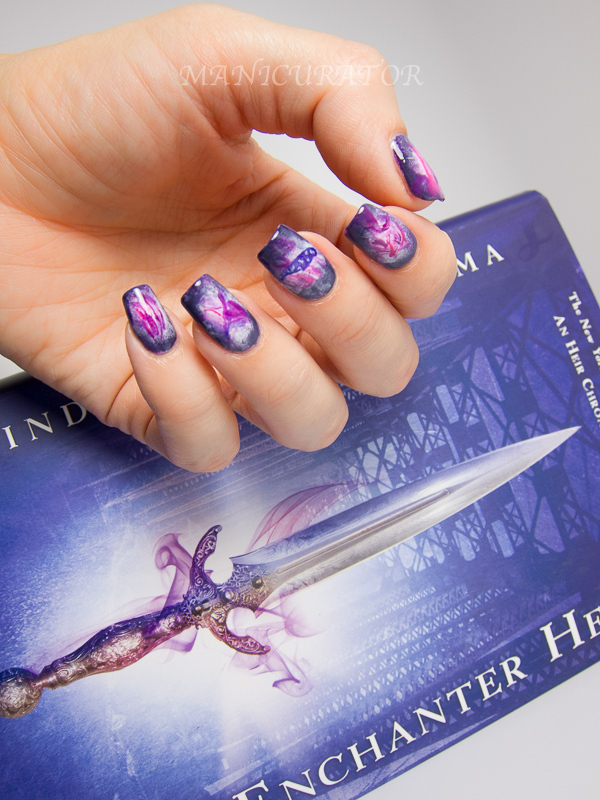 In honor of that, an exciting blog tour has been going on...with book inspired nail art by some very talented ladies for each book! 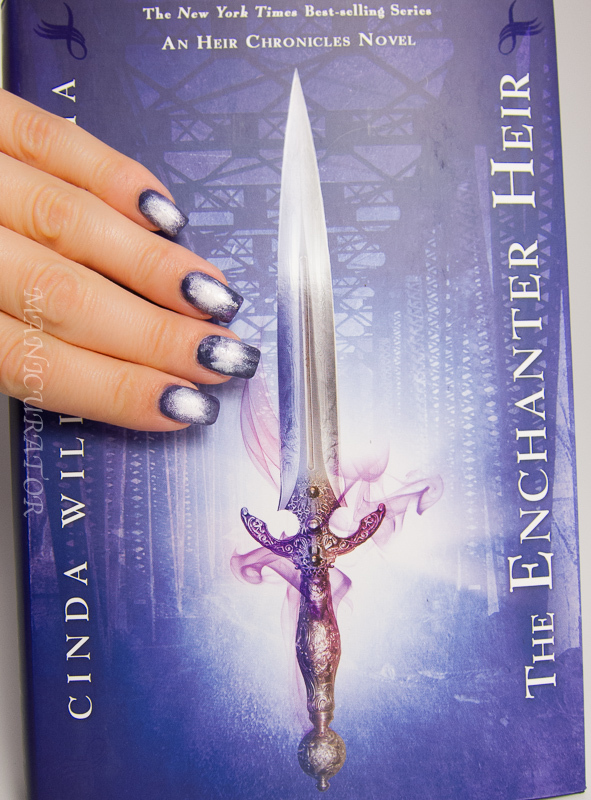 I have nail art inspired by the 4th book, The Enchanters. 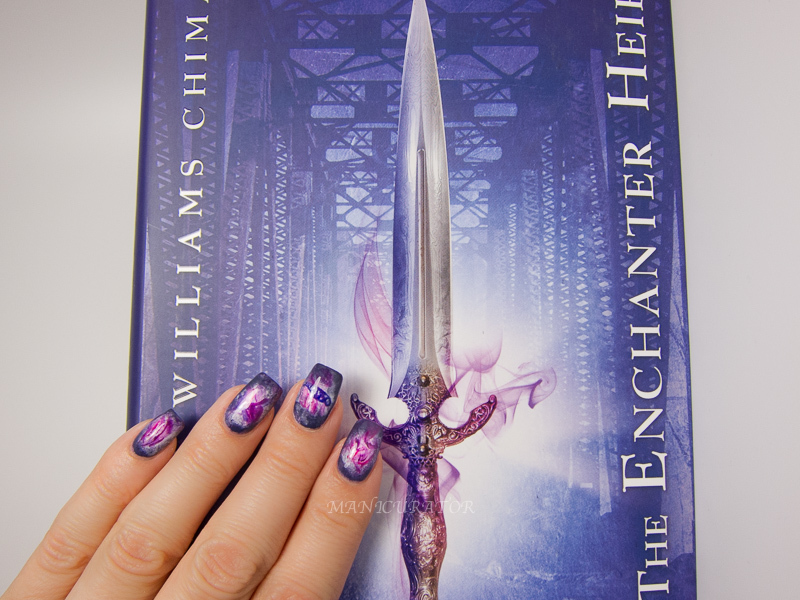 Here's my The Enchanter inspired nail art. Keep reading for the details how I created it and a chance to win all five of the books in this series! This manicure started with a base of 2 coats of China Glaze Friends Forever, Right? Once the base color was dry I painted on a make up sponge: China Glaze Friends Forever, Right?, China Glaze History of the World and OPI Viking In A Vinter Vonderland from tip inward. Making sure to keep the center lined up I dabbed on these three colors in a rough circular pattern. 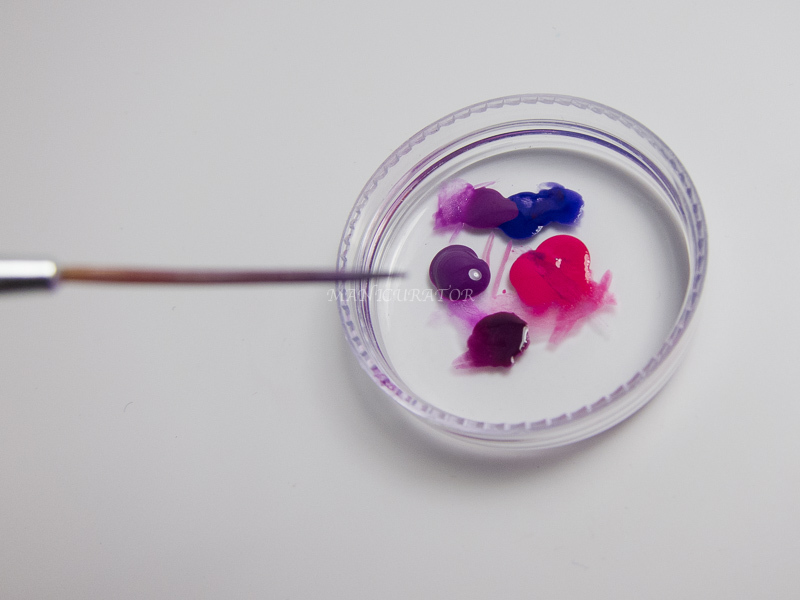 I wanted a framed gradient but one that was not perfectly round. 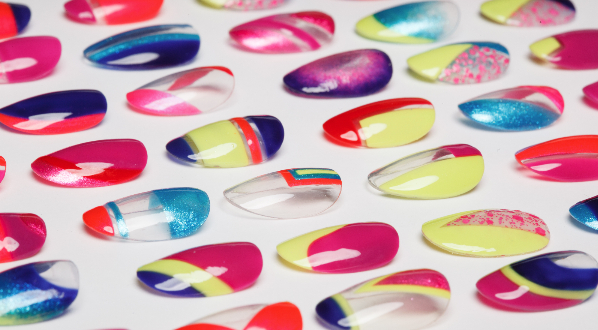 You will need to reapply the polishes to the sponge and dab repeatedly until you get the look you are happy with. You can see this requires a bit of cleanup, or you can place tape or or use the glue method to protect your skin. For cleanup I used Precision Q Tips dipped in acetone. I liked this look so much I almost left it like this! For the final step I used a plastic lid and put drops of OPI Girls Love Ponies, Skating On Thin Ice-Land and Do You Have This In Stock-Holm? and China Glaze Givers Theme, then thinned them out with drops of acetone mixed in. I wanted to capture that smoky ethereal look from the book's cover illustration! 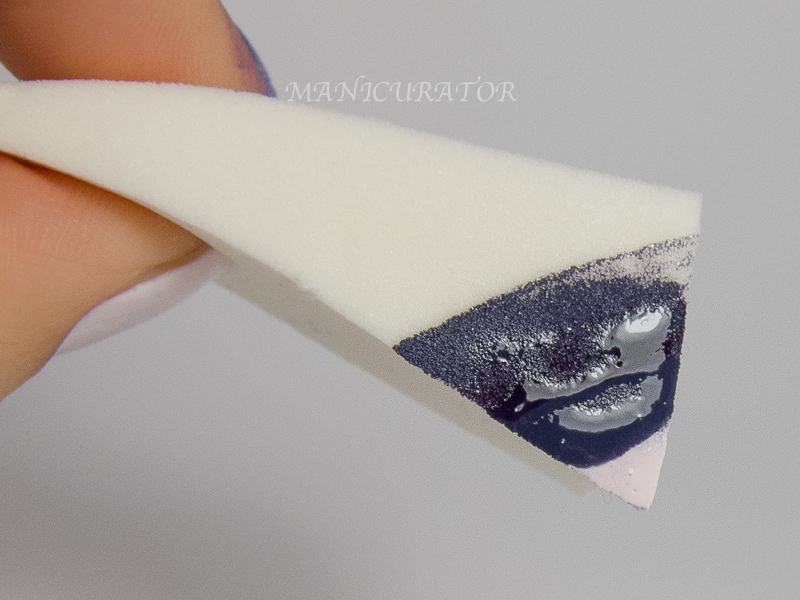 It was easy using a thin nail art brush to place brush stokes of nail polish where some had more pigment and some were thinned out to create this look. I also used OPI Do You Have This In Stock-Holm? to create a small piece of the handle of the sword. I used the end of a paper clip to dig in gently to expose the lighter shade underneath to mimic the scroll work in the handle. 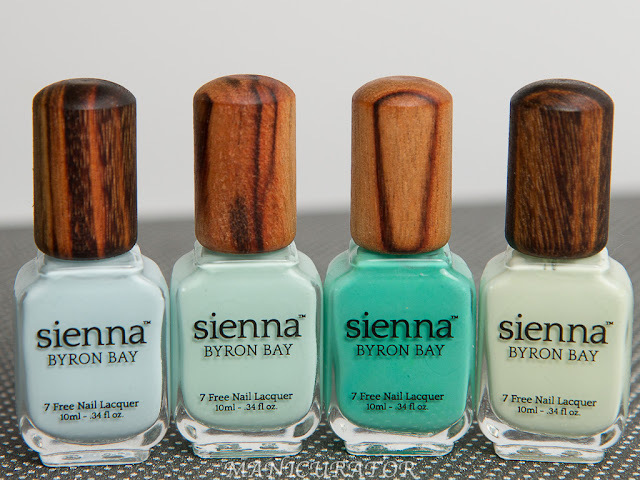 Lastly, don't forget your fast dry top coat. I used Seche Vite. Wow the nails you did for this is amazing! goodness I wish i could get my nails to look like yours !! Love the manicure a lot. It fit's perfect the theme! This is amazing Victoria - as usual. Welcome back, we missed you! Hi Victoria, I missed your chatting and your lovely nails while you were gone, but am so glad you're back now! Pretty, beautiful nails today (I was half-expecting you to have ragged cuticles and jaggedy short nails... I'm glad you seem to have taken good care of everything while you were gone!). 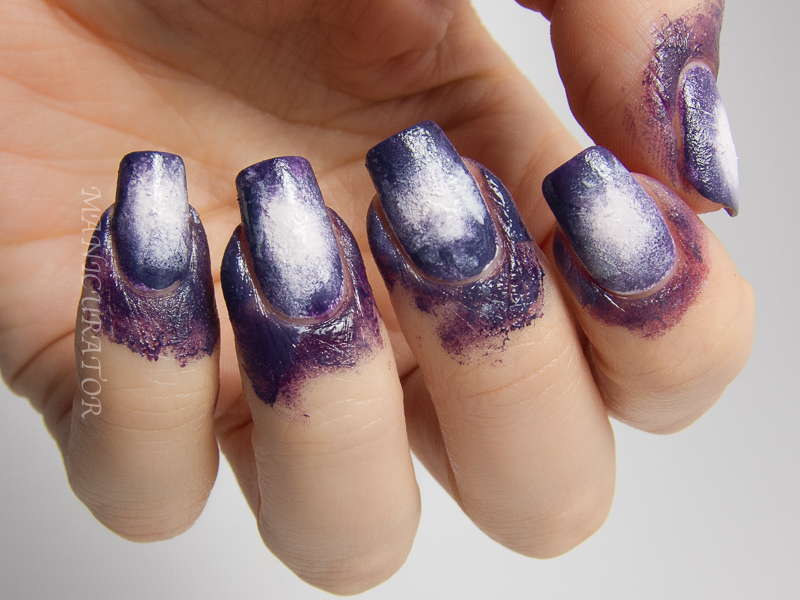 Such an awesome nail look, looks like it was created exactly for the books! I just died and went to nail polish love heaven... beautiful and this purple lover loves it. Yeah! You're back! Love the look, and love seeing how you interpreted the book and cover design. Glad to see you back at it! 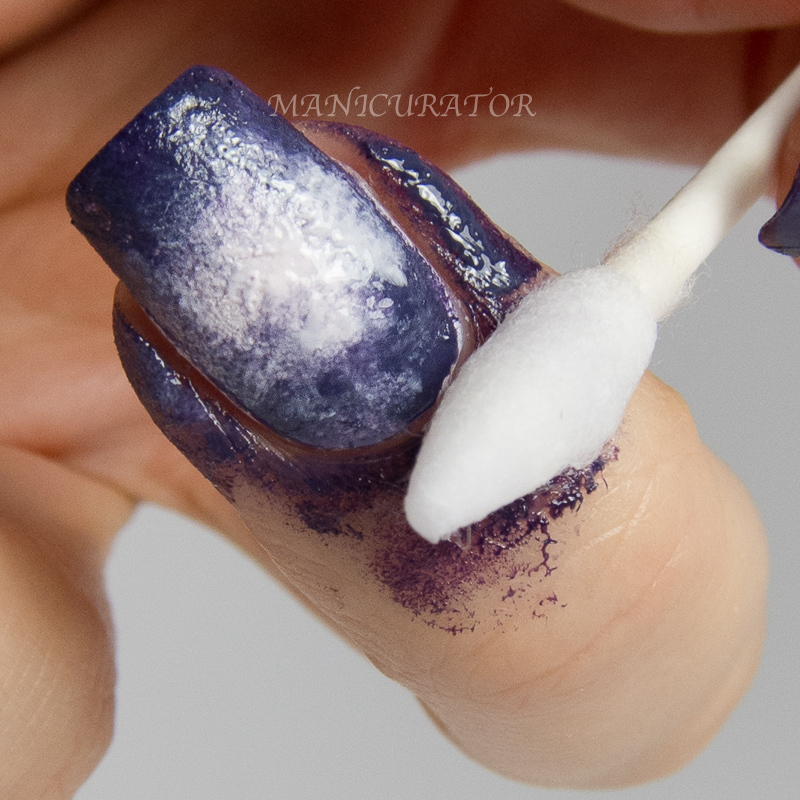 Fab mani! Happy to see you lady! 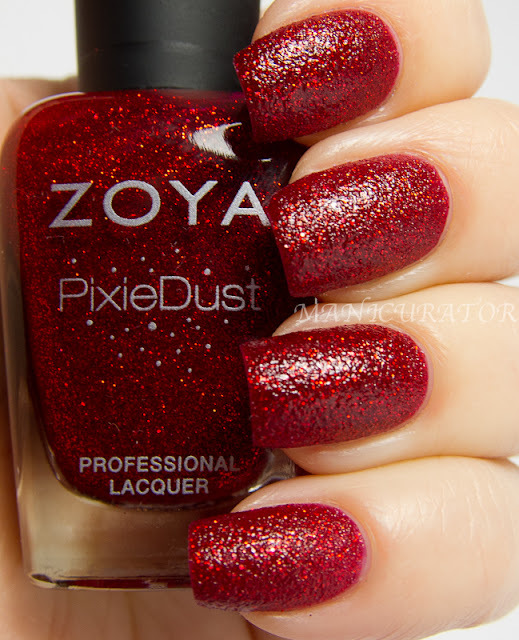 This mani is perfection! My jaw is on the floor!!! Amazing nail art Victoria!! Happy you're back! o.O that nail art is absolutely perfect! Gorgeous design, matches the book reeeally well! 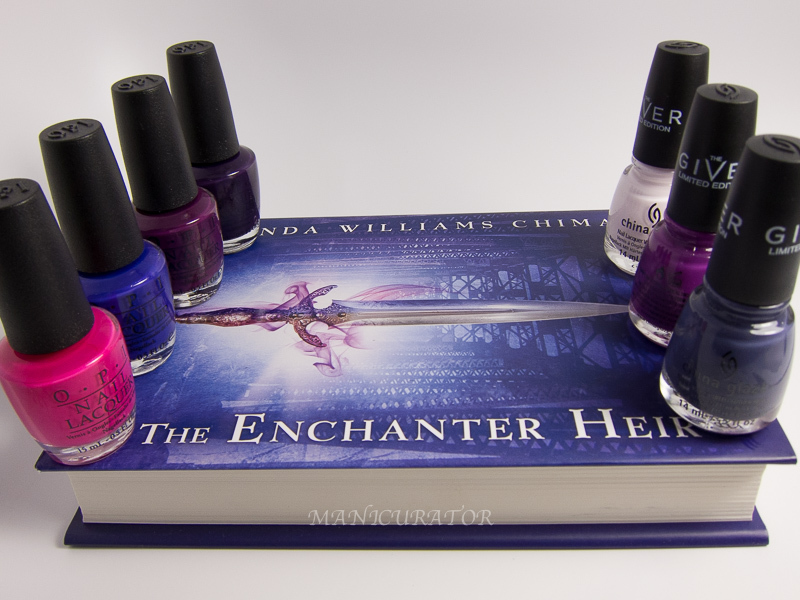 I've never heard of these books but the covers look so pretty and your nails match perfectly. Welcome back lovely! Big thank you!! I was hoping I could do that beautiful book cover justice!